- Spring action and Softouch® cushioned handles make cutting easier and more comfortable. 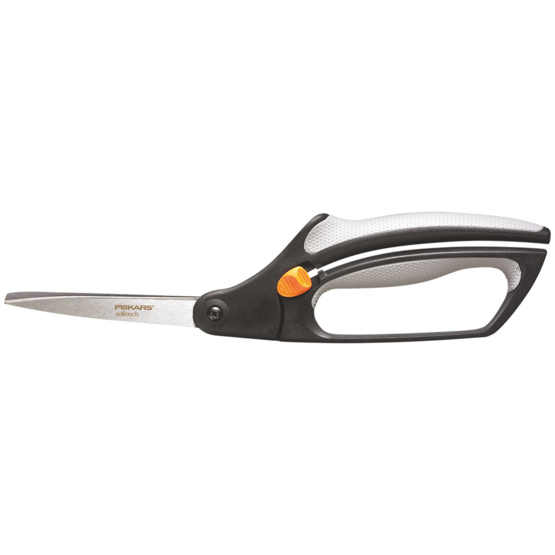 - For long (sewing & office) cutting needs - long blade for a long smooth cutting action. - Ideal for accurate cutting of small patchwork pieces, trimming seam allowances and for giving a clean, fine cut to paper (hardanger, buttonholes & the tightest corners). - High quality stainless steel blade. - The screw on the blades can be adjusted to improve cutting performance. No price development information for this product.